Last 3 days to Save on 2018 Prices for Mountain House and Berkey Water Filters | Prices go up in 3 days. Safecastle presents the Best Price Guarantee on Mountain House. We are so confident ofour prices that if you find a lower price than ours we will beat it. It does not get better than the 30 year Shelf Life Guarantee on Pouches and our Lowest Price Guarantee hand-in-hand. Use MOUNTAIN20 to get extra $20 off on purchase of 2 Mountain House 14-Day Kits! We've been keeping you advised of this burgeoning situation for almost two months now. As a result many of you have stayed ahead of the curve. 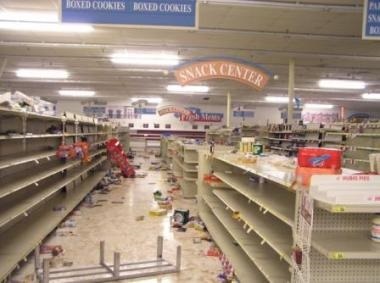 Today, we're deep into a spreading panic among those prepping for imminent crises. 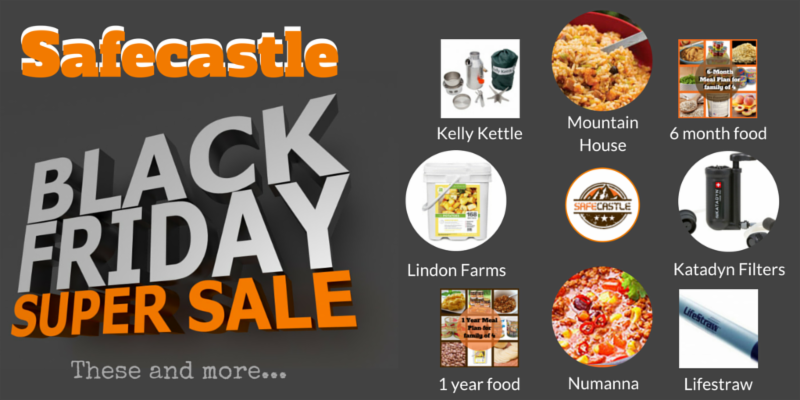 The most popular brands and varieties of storage foods are out of stock and backordered most anywhere you look. Note that this situation is also now spreading to crucial survival-related products such as Berkey water filters. We know what we're doing at Safecastle, having been around this block many times before. We recognized the signs very early on this year and started a bit of focused buying ourselves to make sure we could help you through this situation. So while many other sellers are selling you long-backordered product, we've still got key product inventories in our warehouses. Maybe not a lot of each variety, but enough to get you squared away of you do not delay any longer. For instance, we do still have about two-thirds of the Mountain House freeze dried catalog in stock for prompt shipping. Red Feather canned butter and Bega canned cheese are about to disappear from U.S. markets. The North American distributor sold us their last pallets of those two very popular items and they don't expect to get resupplied from overseas for several months. (Apparently, this buying surge is taking place around the world.) Our butter inventory was depleted earlier today but we have that last shipment coming in and if you get your order in, you'll be in the queue for those dwindling can-cases. (And yes--they are still on sale at unbeatable pricing!) We expect that shipment in within two weeks. We do still have the cheese available for prompt shipping. Yoders canned bacon--we still have some in stock for prompt shipping. It is out of stock most other places for at least the next few weeks. 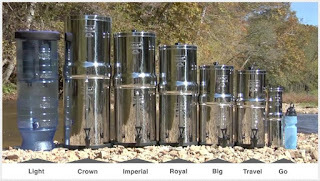 Berkey water filters ... the N. American distributor is running out of stock of several Berkey models. We have inventory of several models ... if they are listed in our store, we have them available for fast shipping. Many other storage food brands that we are selling are drop-shipped from their producer warehouses. The word on most of them is that they are shipping about three or more weeks out due to growing piles of orders that are coming in. All food producers are dealing with amped-up demand, but they are also struggling to purchase raw ingredients for their products. Eggs remain the biggest challenge, with most factories unable to secure enough for production runs, and that is expected to remain the case for several more months. No surprise if you have been paying attention, but here is our take ... just as with the overall economy and geopolitical situation out there, we're on the edge in the crisis preparedness marketplace. But where much of the economy is dragging, those who are stepping up their preparedness efforts are stressing our suppliers to the breaking point at the opposite end of spectrum. Many will say, that's not a bad thing. The danger is that we are one big-picture push away from having the whole thing go tumbling down the slope. We've seen it before--sellers are unable to get inventory, producers are unable to get enough material and food for production runs. We're at max capacity right now ... if any number of new more preparedness buyers flood into the market, that will be it. We prefer to make sure our own longtime customers are well situated for what is happening. We're upfront with you about what we are seeing so that you have as many facts available for your own consideration as to what you may want to do as a result. Berkeys are back in stock! It isn't easy getting adequate stock of a variety of the renowned Berkey water filters. We haven't had them for some time. But today, we are able to provide you with the best-ever opportunity to get the Berkey you want at the lowest price anywhere! Don't delay--get your Berkey today! 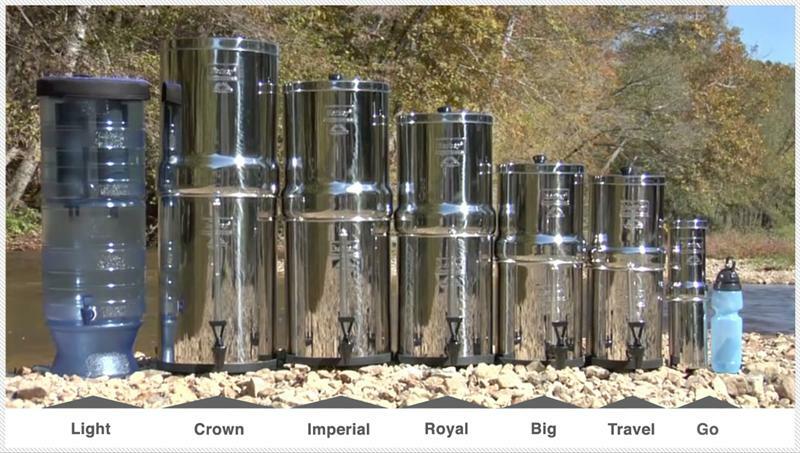 We have Berkey Filters (Light and Travel in Stock). The Berkey Light™ water filter is designed for use during travel, outdoor activities or during unexpected emergencies. The Berkey Light Water Purifier is popular with outdoor enthusiasts, emergency water filtration or people who want more of a water aesthetic in their home. Comes with an optional LED light base, this light unit can be charged with an optional solar panel, needing no electricity. The Berkey Light is bright enough to read by, ideal for emergency situations or power outages. The compact Travel Berkey® system is the perfect system for use during travel and any outdoor activities or during unexpected emergencies.The smallest of the Berkey family, this system is ideal for a single person, people who travel and very popular with RV'ers. The convenient and economic Travel Berkey is a two filter capacity system. This unit can not be shipped to Iowa residents. All stainless Berkey units can be stacked one can inside the other for convenient mobility. Make a purchase of Light or Travel Berkey, we will simply ship you a Lifestraw. In other words, it's a long skinny bacteria. on the scale of 150 micrometers in size. of the size of these microbes. contaminates and magnify to greater levels. pathogenic bacteria and viruses to greater than the EPA purification standards. does not make that specific claim. The MS-2 virus is 24-26 nm in size. The Fr Coliphage virus is 25nm in size. In other words, they are over 1,000 times smaller than Cyanobateria. demonstrated they are extremely efficient at removing organic chemicals. The EPA defines Microcystins as: “...toxins produced by cyanobacteria. recommends that whenever possible, the cleanest source water available should always be utilized.